Step 3: Enter your registration no./ roll no. Step 4: Your HPBOSE Result 2016 for Class 12 will be displayed on the website. HP Board Secretary Shravan Manta declared that who want to get re-evaluation of their papers done may submit online a sum of Rs 400 as re-evaluation fee per answer sheet and Rs 300 per answer sheet for re-checking by May 9 through school heads in Himachal Pradesh. He said no offline applications accepted for revaluation this time. 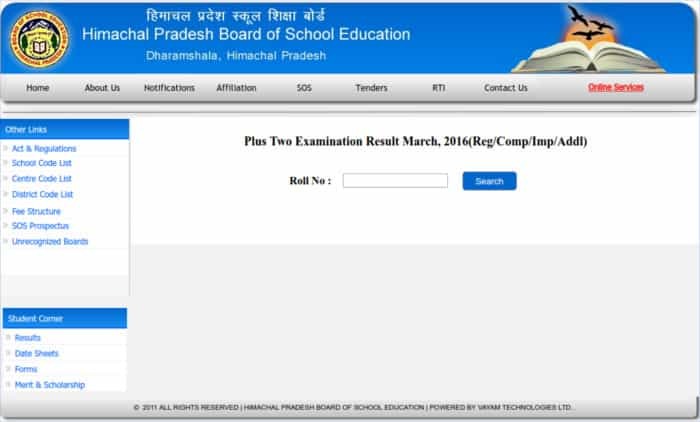 The Himachal Pradesh Board of School Education, Dharamshala (HPBOSE) conducted the examination for class 12th in March, 2016. The HPBOSE 12th Result 2016 has been declared within a record 25 days, with 78.93 per cent students won in 2016. There is a clear rise oc 15 percentage from previous year. The Himachal Pradesh Board of School Education, Dharamshala (HPBOSE) Chairman Balbir Tegta told that 1,01,104 candidates appeared in the examinations, of whom 79,411 passed while 14,299 were placed for reappearance of their test. The pass percentage was 78.93 per cent against 64.64 per cent in 2015. Rahul Sharma of Dharrubal, Mandi and Roshan Lal of Arki, Solan topped in Arts section by securing 471 out of 500 marks. Tammanna Koushal of Dharamshala topped in Commerce scoring 482 marks and Suvrat Sharma of Hamirpur came first in Science with 492 marks. 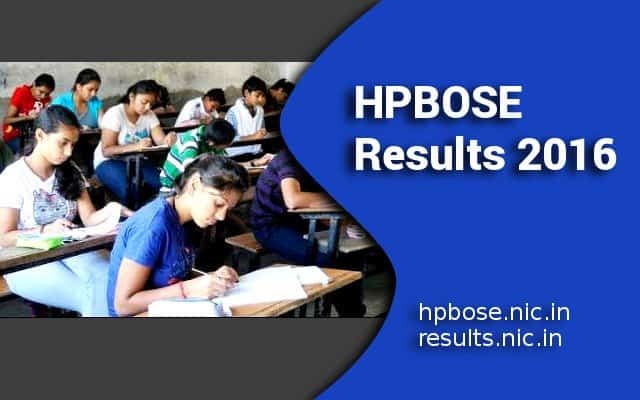 Previous year, the HPBOSE Result 2015 was declared on 30 April 2015. The result was received by a total of 98410 candidates out of which only 67054 candidates had qualified the examination.